Stevenson, the founder and executive director of the Equal Justice Initiative, has successfully argued cases before the U.S. Supreme Court, including a recent historic decision that found mandatory life-without-parole sentences for children 17 or younger are unconstitutional. 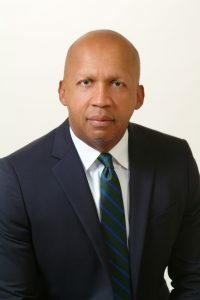 Under Stevenson’s direction, the organization has won major legal challenges to excessive sentencing and illegal convictions, including reversals, release, or relief for over 145 wrongly condemned prisoners on death row. The group’s education and advocacy efforts include the Community Remembrance Project, which seeks to recognize the victims of lynching by erecting historical markers at lynching sites, and the opening of the National Memorial for Peace and Justice and the Legacy Museum. The museum and memorial are part of Equal Justice Initiative’s work to advance truth and reconciliation around race in America and to more honestly confront the legacy of slavery, lynching, and segregation. In the 40th session of the UN Human Rights Council, in presenting her annual report and oral update, High Commissioner Michelle Bachelet focused on explaining how inequalities in income, wealth, access to resources, and access to justice constituted fundamental challenges to the principles of equality, dignity and human rights for every human being. Inequalities affected all countries. Even in prosperous States, people felt excluded from the benefits of development and deprived of economic and social rights, leading to alienation, unrest and sometimes violence. To achieve the 2030 Agenda, the world’s States needed to advance on tackling inequalities – inequalities of resources, income, power, access to justice and with respect to the basic conditions for human dignity. In Zimbabwe, protests against austerity measures have also been met with unacceptable violence by security forces. The Government’s effort to launch a dialogue process in recent days is encouraging, but I am worried by reports of door-to-door raids, as well as intimidation and harassment of activists, human rights defenders, and lawyers representing those arrested. In France, the “Gilets Jaunes” have been protesting what they see as exclusion from economic rights and participation in public affairs. We encourage the Government to continue dialogue – including follow-up to the national discussions which are currently underway – and urge full investigation of all reported cases of excessive use of force. The situation in Venezuela clearly illustrates the way violations of civil and political rights – including failure to uphold fundamental freedoms, and the independence of key institutions – can accentuate a decline of economic and social rights. .. In the context of Nicaragua‘s very serious social and political crisis, the resumption of national dialogue could constitute a significant step to address the grave problems facing the country. These include increasing restrictions to civic space; persecution of dissenting voices; and crackdowns on press freedom, as well as austerity measures, and unemployment. ..
Today, allow me to voice my concern at the apparently arbitrary arrest and detention, and alleged ill-treatment or torture, of several women human rights defenders in Saudi Arabia. The persecution of peaceful activists would clearly contradict the spirit of the country’s proclaimed new reforms. We urge that these women be released. In Turkey, I call on the authorities to view critical or dissenting voices – including human rights defenders, academics and journalists – as valuable contributors to social dialogue, rather than destabilizing forces. The recent prosecution of 16 civil society activists for “attempting to overthrow the government,” for their alleged roles during protests in 2013, is emblematic of many other trials lacking international due process standards. In India, where there has also been significant poverty reduction in overall terms, inequality remains a serious issue. In addition, we are receiving reports that indicate increasing harassment and targeting of minorities – in particular Muslims and people from historically disadvantaged and marginalised groups, such as Dalits and Adivasis. It appears that narrow political agendas are driving the further marginalisation of vulnerable people. I fear that these divisive policies will not only harm many individuals, but also undermine the success of India’s economic growth story. ….The continuing movement of people from El Salvador, Guatemala and Honduras to the United States is a result of failure to ensure that development reaches everyone – with persistent violations of rights leading to profound inequalities. The comprehensive development plan being developed by Mexico, Guatemala, Honduras, El Salvador and ECLAC is a welcome response to this challenge, very much in line with the Global Compact for Migration. In Mexico, too, the government is making efforts to move from an approach focused on detention and deportation of migrants to a new focus on protection of the rights of migrants, including opportunities for regularization, and alternatives to detention. In the United States of America, the new Migrant Protection Protocols which restrict access to asylum and other forms of human rights protection – and push migrants back across the border to wait for their proceedings without due process or safeguards– are a source of concern. A recent report by the Inspector General for the United States Department of Health and Human Services indicates that thousands more migrant children have been separated from their families than had been previously reported. The Office has raised concerns with Australia about the imminent transfer of migrants from Manus Island and Nauru to new detention centres. Those people have been suffering for more than six years; more humane policies could, and should, be implemented…. I commend Germany‘s successful programmes to help migrants integrate into the economy and society, as well as legislation in several countries – including Finland, Portugal and Spain – which enable the entry and stay of migrants in vulnerable situations, based on human rights grounds. I am troubled about other aspects of European migration policies, particularly the number of fatalities in the Mediterranean. Another 226 deaths were recorded in the first two months of this year. With several NGO vessels forced to suspend operations by measures that essentially criminalise solidarity, the ancient responsibility of rescue at sea is increasingly falling on merchant vessels – which are often ill-suited to such a task. In addition, some governments have refused entry to ships. In the Sahel, the Office has been implementing an innovative approach aimed at reducing the risk of harm to civilians during counter-terrorism operations. OHCHR is working with the G5 Sahel Joint Force operating in Burkina Faso, Chad, Mali, Mauritania and Niger to establish a Compliance Framework to guide military operations. A training programme is underway; standard operating procedures are being developed which aim to reduce civilian harm and ensure sensitivity to gender issues; and a network of legal advisors is being established within the Joint Force to ensure the operational application of international human rights and humanitarian law…I encourage Cameroon to also consider the benefits of such an approach…. In Myanmar, economic interests and activities appear to be a key factor driving both violence and displacement by the Myanmar military, together with the dehumanisation of the Rohingya, and long-term discrimination. I am concerned by the failure to take any meaningful measures towards the safe, dignified, voluntary and sustainable return of the Rohingya and others – in compliance with their rights to citizenship and other rights. ….. In Yemen, I am deeply concerned by the suffering of civilians, despite the current ceasefire. This remains the world’s worst humanitarian crisis. The conflict has not just killed and injured thousands of civilians. In Ethiopia, reforms have sought to address a wide spectrum of human rights issues, including benefit to sustainable development. The depth and pace of Prime Minister Abiy’s political and economic reforms, and the appointment of women to senior positions, could open the path to a more inclusive and effective development model, providing hope for Ethiopia’s young population. My Office will continue to assist the Government to devise sound laws, mend grievances, and set up measures to prevent violence in areas of the country. At this session, the Council’s Special Rapporteur on the situation of human rights defenders presents a report on the rising attacks on, and repression of, women’s human rights defenders in the context of today’s backlash against women’s human rights. It makes clear that women defenders face the same risks as men, but with additional threats shaped by a view that women should be bound to the service of a male-dominated society. Physical and sexual violence, public shaming – including on the Internet – and attacks on their families and children are among the tactics increasingly used to silence women activists. Recently a group of 30 women leaders issued an Open Letter emphasising the “urgency and peril” of the current roll-backs to hard-won rights and freedoms. I fully share their concerns, and will continue to work against gender inequalities with all the energy and principle that I can muster. ….. Before closing today, I would like to add a few additional situations of increasing concern. In the Philippines, ….. I encourage the Philippines to adopt a public health approach, and harm reduction initiatives, that comply with human rights standards, as recommended to the 2016 General Assembly Special Session. ……. The drug policies in place in the Philippines, and its lack of respect for rule of law and international standards, should not be considered a model by any country. Bachelet also called on Saudi Arabia to release women activists allegedly tortured in detention after authorities accused them of harming the country’s interests. Human rights defenders have named 10 Saudi women held for their campaigning, voicing fears that they could face harsh sentences. Saudi Arabia’s public prosecutor is preparing the trials of detainees, identified by watchdog groups as women’s rights activists, after completing its investigations, state news agency SPA said last Friday. 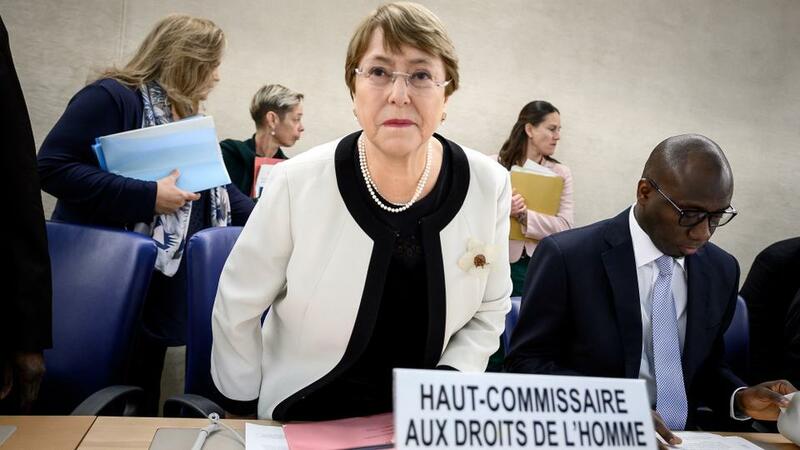 “Today, allow me to voice my concern at the apparently arbitrary arrest and detention, and alleged ill-treatment or torture, of several women human rights defenders in Saudi Arabia,” Bachelet said. The United Nations High Commissioner for Human Rights also urged the Philippine government to comply with international human rights standard in its brutal drug war, which she said lacks respect for the rule of law. Bachelet encouraged the Duterte administration to “adopt a public health approach, and harm reduction initiatives, that comply with human rights standards.” “The drug policies in place in the Philippines, and its lack of respect for the rule of law and international standards should not be considered a model by any country,” she said.